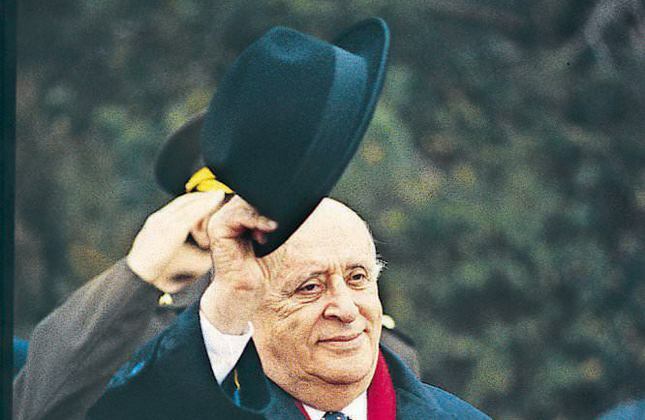 Süleyman Demirel, ninth president of Turkey who passed away last week, was identified with his fedora. The late former President Süleyman Demirel's fedora hat was one of his most significant identifiers, one that has become a symbol. Even caricatures portraying him always featured his hat. Demirel went everywhere with his hat, which he wore by pushing it back on his head like the "hacıağa" (parvenue); he never took it off or gave it to someone else. He resisted if someone tried to grab his hat, but presented a similar one to those he wanted to reward. When he died, his hat was put on his coffin. As opposed to Demirel, the late former Prime Minister Bülent Ecevit, a leftist politician, imitated Vladimir Lenin and wore a Greek fisherman cap, which is known as "Zedushka" and was worn mostly by Jews in Russia. Because of he came from a bourgeois family and graduated from the Robert College, he tried to camouflage his bourgeoisie image by looking like an ordinary man. 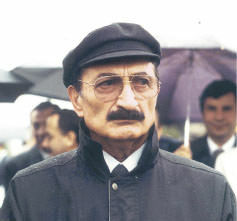 Bülent Ecevit, left-wing politican and former prime minister of Turkey, with his hat. Ecevit's cap was not a villager's cap, and Turkish people were very unfamiliar with this type of headwear. However, for a naïve intellectual like Ecevit, whose most favorite poet was Rabindranath Tagore, it was not a surprising fact. At least a large portion of his target audience understood what he was trying to say, but similar things cannot be said for Demirel – a significant part of whose target audience consisted of religious people. It was a tragicomic incident for him to ask for the votes of people, who were allergic such style of hat for historical reasons, by saluting them with his hat. Did Demirel represent a public figure who accepted reforms, or was it the complex of a man of village origins? Perhaps the words "I wanted to wear a cap, but Ecevit took it from me," which also is attributed to him, can shed light on these questions.Headwear represents the mentality and class of its wearers in every period and civilization. People were differentiated from each other by what they wore on their head. As a response to the three-cornered hat symbolizing the Trinity in Christianity, French revolutionists wore red Phrygian caps. They were called "sans-culotte" (without culottes) because they rejected men's culottes, fashionable knee-breeches, and instead chose to wear "pantolons," or trousers worn from the waist to the ankles by the Venetians. In 1828, Ottoman Sultan Mahmud II fancied the slightly claret red headwear "fez" worn by North African naval officers, and ordered all Ottoman soldiers and civil officers to dawn the fez. In those years, there was a close relationship between headwear and religion. As a fez allowed men to wrap a turban around it, it did not violate religious constraints and was accepted by Ottoman society. The fez enjoyed its rule in Turkey for a century. Following the proclamation of the Republic of Turkey, Mustafa Kemal Atatürk wore a hat instead of fez. With the enactment of a law in 1925, which was unprecedented in history, the public was obliged to wear a hat. Those disobeying were fined. Certain speeches made during the announcement of the law said the human character is associated with headwear. These speeches supported the idea that the Turkish public would become modernized by wearing the hat – the headwear of civilized nations. The hat reform caused reactions that no other reform had caused up to that point. The revolts that broke out in different cities were silenced in a bloody way. The Turkish armored ship Hamidiye bombarded the northern city of Rize from the sea, and 57 religious men who wore turbans were hung as a lesson to the public. On their chests was written that they were hung due to their opposition to hats. By applying laws retrospectively, Atıf Efendi of İskilip, who was a former müderris (professor), was executed for his book "Frenk Mukallitliği ve Şapka" (Imitation of Western Values and the Hat) published long before the hat law took effect. Those who accused people of wearing hats a few months before the law took effect now issued death penalties in the courts for others who did not wear hats. Headwear had an important place in Ottoman culture as the Prophet Muhammad said, "Headwear is a sign for the separation between faith and infidelity." Wearing a hat was similar to abandoning the religion. 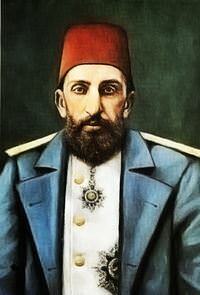 Ebussuud Efendi, a 16th century Ottoman Shaikh al-Islam (grand mufti), issued the following fatwa: "Those who wear hat unique to foreigners commit kufr (infidelity)." Dating back to the 15th century, the famous book "Mızraklı İlmihal," which was very popular Islamic catechism among the public, considered the hat, cross and zünnar (the belt of priests) equal. Non-Muslim Ottoman citizens were called with the soft phrase "ellik gavuru" (local giaour, i.e. non-Muslim), while Europeans were called "şapkalı gavur" (hat-wearing giaour) to express the passion for their faith. The public considered a hat as a frightening evil-eye, which brought misfortune, and was afraid of touching it. Servants used to clean the table where a foreign physician placed his hat for days when he came for a home visit.It is unsurprising why the hat law triggered an uproar of reactions. Although the state budget was relatively small, civil officers were offered loans for hats. Foreign ships imported secondhand hats at Turkish ports for months. Those who could not afford to buy hats wore strange headwear that resembled hats. Fez continued to be worn in Arabic countries, which were excluded from the former Ottoman land for some time. The European press was surprised, as they did not expect that the Turkish government was so willing to adapt to their style, but the Europeans looked as if they did not take the Turks seriously – as one often looks down on an imitator. Those who do not wear hats were arrested and sentenced to a six month jail term. Fines were also applied to men without hats. When the hat law came into force, religious men declared secret fatwas, saying that hats do not harm faith as they are obligatorily worn, but they must be taken off at home. As some headwear does not have visors, some people preferred to wear barrettes known as "Bosnian" or "painter barrettes" with Bask origins. Police officers also overlooked such headwear at certain places. The Turkish word "şapka" (hat) derives its origin from the Latin words "cap," meaning head, and "cappa," meaning headwear. Similar to the fez, there are different types of hats such as fedora hats, Borsalino hats, Panama hats, straw hats, bowler hats, top hats, caps and many more. Religious men preferred to wear Oxford-style bowler ('Melon' in Turkish) hats as their visors are shorter, to which they referred to them as "melun" (accursed). Poor Turkish people could only wear a villager's cap with a visor in the front. Hats also subsided as a fashion trend after World War II, as many other traditions were changed as well. When automobiles became popular, hats increasingly lost their popularity in public life. However, some elderly men and women who could not give up the habit continued to use them. A few years ago, certain delegates from the EU and the Council of Europe visiting Turkey were surprised to hear that there is a law that made it mandatory to wear Western-style hats. The hat law is still valid and protected under the constitution. In 2014, the article specifying a penalty for those who do not wear it was abolished. The hat took another blow with the death of Demirel.